In the wake of New York passing a gay marriage bill last Friday, there are many voices crying out. Some in the secular world—and even in the church—are celebrating. Others, like Dr. Michael Youssef, are weeping. Although many are blaming Republicans, Youssef is pointing a bold finger directly at the church of Jesus Christ. As he sees it, the church allowed this abomination to rise up and the church is the only body on earth working to restore God’s righteousness to the land. Charisma News caught up with Youssef, founder and president of Leading The Way with Dr. Michael Youssef, a worldwide television ministry, and senior pastor of The Church of the Apostles in Atlanta, to discuss his thoughts on the gay marriage campaigns across the country and how the church should respond now. Charisma News: What are some of your thoughts on this gay marriage law passing in New York? Youssef: Here is another one that goes down the tubes. The stats say one in nine Americans are living in states where gay marriage is legal and it’s not going to stop there. Let’s go to the beginning. When we begin to be immoral people we will cease to be blessed people. God blessed us as a nation through the years because of the faithfulness of the Founding Fathers to God’s Word. It might not be explicit but implicit in every action of their deliberation. Now we come to a time where we are removing the boundaries of our forefathers and as we remove these boundaries we are removing ourselves from the hand of God’s blessing and protection. It is very disturbing to see the greatest nation leading the world in this abomination. It is very, very sad. This is a group of Republicans that made this happen. This is not a Republican-Democrat issue anymore. It is a moral issue. Those who love the Scripture and God’s ideal for our society must be very repulsed and speak against it. We need to examine every candidate for office from now on—to check not how he is going to help the economy, but how he is going to uphold God’s moral standard. Charisma News: You are right. With 2012 coming up, we have an opportunity and I hope we take that opportunity very seriously. I have seen many people coming out against the Republican Party in outrage. Youssef: It is not really about the Republican Party. I have said this all along. Many of us who were in the party loved Reagan and Bush. The Republican Party hasn’t been able to do anything. They haven’t been able to make decisions or to lead. They have made speeches but I think it has to be a grassroots movement from the bottom up. These are not social issues that so many folks in the media are telling people to lighten up on if they want to get elected. They are moral issues and we have got to make a decision as a nation whether we are going to be a moral nation or we aren’t going to be. Younger evangelicals have been sucked in by false teaching and are now walking away and turning their backs on biblical morality. The only morality they look at is taking care of the poor by the government—not by us but by the government. That is very dangerous. The problem is that we are not taking the warnings that God has gently been giving us, from tornadoes and floods. God keeps sending us these gentle warnings to wake us up, but we are not waking up at all. We just keep saying we can overcome and keep putting our hopes in ourselves. 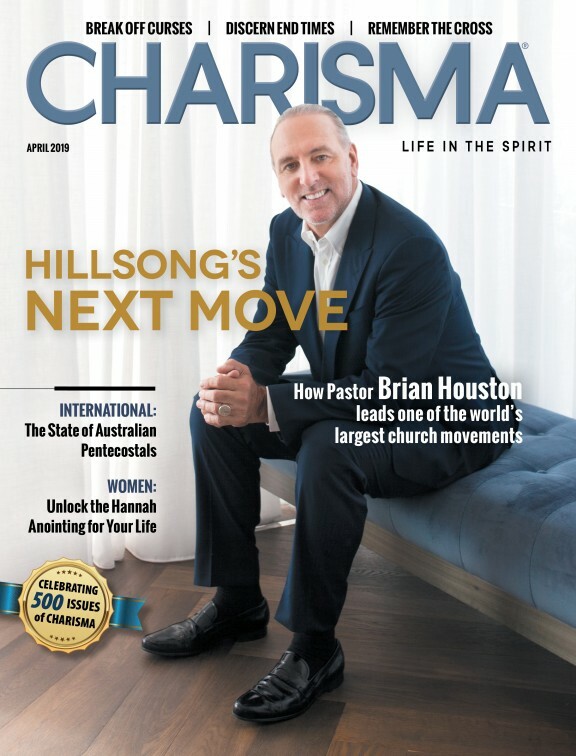 Charisma News: What is it going to take then? Is the Church doing its job? Are we doing enough? Praying enough? Youssef: This problem started in the church. The society did not begin to collapse on its own, morally, when churches started to reject the authority of the word of God. The debate about homosexuality started in the church and not politics. The Episcopal Church started the whole thing by ordaining gays and blessing gay marriages. That came from the church pulpit into society. Then the Presbyterians followed and now many evangelicals don’t want to talk about it. The main issue is rejecting God’s word as authoritative over us as individuals and as a church. As goes the church so goes society. The church is the one that needs to repent first. It is my call to the church through my blog and writing to call the church to repentance. Until that happens society is going to continue going in a downward spiral. Charisma News: It seems like that is a message many people don’t want to hear: repent. Youssef: I saw this program the other day with Ken Ham with his theme park about creationism in Oklahoma. Guess who is opposing him? Pastors in the area. One pastor came on PBS and said they believe in evolution and not this stuff and they are going to fight him. These are pastors in Oklahoma. We have to clean house before we point fingers. They will point the finger back and say we as believers need to cry to the Lord in the Spirit of repentance. Charisma News: That is the bottom line. Youssef: I was given the keynote address to NRB three years ago. It was almost prophetic that I was quoting Jeremiah Chapter 9 where he was saying “I want to weep over my people.” You look at the condition of the church and we need to be weeping, not celebrating. We need to be weeping because the condition of the church is so dire. As we weaken we have all these massive churches and they are all preaching self help and we have selfed ourselves to death. Charisma News: What will it take to get the church to repent? Youssef: It is a combination of the faithful to keep crying to the Lord. I have a personal view that isn’t from Scripture that we are in for a big catastrophe. Why America? Because we should know better. Why not China? Because they are pagan. How are they to know better? We do. They don’t have the biblical foundation we do. God judged Israel into exile. Why Israel? Because they should have known better. They got into idolatry and did not repent. Prophet after prophet would call them to repent and they wouldn’t. God had enough and sent them into Babylon. This is the way God works and this is His character. This is what is going to happen sooner than we realize. Charisma News: People don’t want to hear the truth. It is good that you are saying these things. If it does happen at least we will remember we were warned. Youssef: It will serve as a witness. But when you read Revelation and there are catastrophes that literally come and wipe out one-third of the population and do you think their hearts would repent? No. God is not going to be mocked and He is going to justify and vindicate His own name.